Posted on November 15, 2015 | Comments Off on New Products! Announcing…. Custom-Made Jewelry Now Available for Purchase! Here are a few samples. 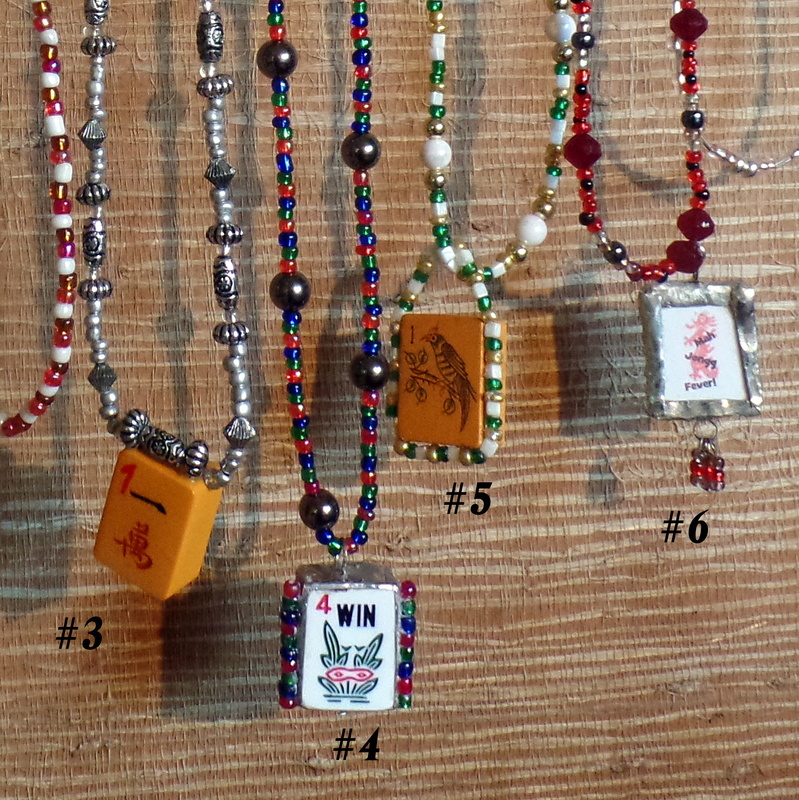 Numbers 3-6 are Mah Jongg pendants and numbers 1, 2, & 7 are beaded necklaces. Email me if you are interested in any of these. I can’t promise that a specific item will still be available for purchase because once it sells, it’s gone. I am happy to make items similar to the ones you see here. Email me with your design ideas! Each Mah Jongg pendant necklace costs $19.99 (plus shipping & handling and tax, where applicable). 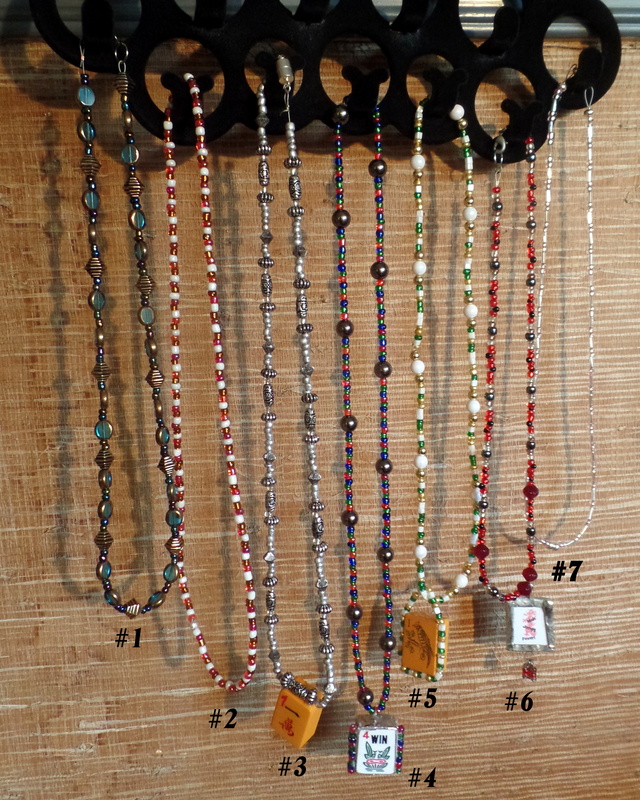 The beaded necklaces are $14.99 each. To purchase, please email me (see contact page) to make sure what you want is still available.